Usefulness of indocyanine green fluorescence imaging: A case of laparoscopic distal gastrectomy after distal pancreatectomy with splenectomy. Randomized phase II study of daily and alternate-day administration of S-1 for advanced gastric cancer (JFMC43-1003). A phase II study of preoperative chemotherapy with docetaxel, cisplatin, and S-1 followed by gastrectomy with D2 plus para-aortic lymph node dissection for gastric cancer with extensive lymph node metastasis: JCOG1002. Ito S, Sano T, Mizusawa J, Takahari D, Katayama H, Katai H, Kawashima Y, Kinoshita T, Terashima M, Nashimoto A, Nakamori M, Onaya H, Sasako M.
CEACAM1 is associated with recurrence after hepatectomy for colorectal liver metastasis. Reinforced staplers for distal pancreatectomy. Oncological Outcomes following Rectal Cancer Surgery with High or Low Ligation of the Inferior Mesenteric Artery. Left Gastric Artery Reconstruction after Distal Pancreatectomy with Celiac Axis En-Bloc Resection: How We Do It. Internal Hernia After Laparoscopic Total Gastrectomy for Gastric Cancer. Clinical implications of carcinoembryonic antigen distribution in serum exosomal fraction-Measurement by ELISA. NAC-GA investigators: Effect of Neoadjuvant Nab-Paclitaxel plus Gemcitabine Therapy on Overall Survival in Patients with Borderline Resectable Pancreatic Cancer: A Prospective Multicenter Phase II Trial (NAC-GA Trial). Mapping of the Superior Mesenteric Vessels for Artery First,Pancreatoduodenectomy in Patients with High Visceral Fat. Irregular Defects in Hepatocellular Carcinomas During the Kupffer Phase of Contrast-Enhanced Ultrasonography with Perfluorobutane Microbubbles: Pathological Features and Metastatic Recurrence After Surgical Resection. Multicenter Study Group of Pancreatobiliary Surgery (MSG-PBS): Retrospective Study of the Correlation Between Pathological Tumor Size and Survival After Curative Resection of T3 Pancreatic Adenocarcinoma: Proposal for Reclassification of the Tumor Extending Beyond the Pancreas Based on Tumor Size. 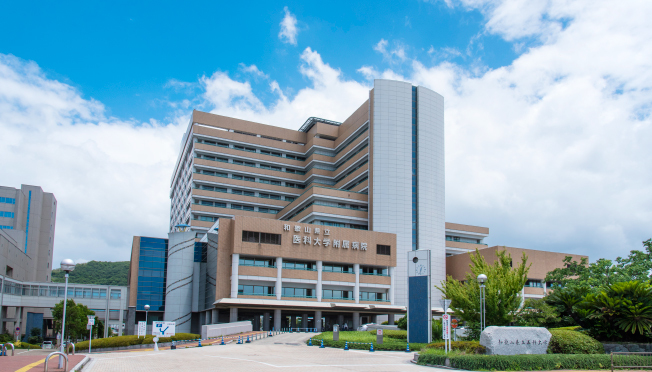 Japanese Society of Hepato-Biliary-Pancreatic Surgery: Proposal of size-based surgical indication criteria for liver hemangioma based on a nationwide survey in Japan. Hypersecretion of ACTH and PRL from pituitary adenoma in MEN1, adequately managed by medical therapy. Endocrinol Diabetes Metab Case Rep. pii: 17-0027. doi: 10.1530/EDM-17-0027. Randomized clinical trial of landiolol hydrochloride for the prevention of atrial fibrillation and postoperative complications after oesophagectomy for cancer. Horizontal rectal transection using an endolinear stapler for laparoscopic low anterior resection. Validation of TG13 severity grading in acute cholecystitis: Japan-Taiwan collaborative study for acute cholecystitis. Clinical application and verification of the TG13 diagnostic and severity grading criteria for acute cholangitis: An international multicenter observational study. Optimal treatment strategy for acute cholecystitis based on predictive factors: Japan-Taiwan multicenter cohort study. Phase I/II study of divided-dose docetaxel, cisplatin and fluorouracil for patients with recurrent or metastatic squamous cell carcinoma of the esophagus. Percutaneous and endoscopic gallbladder drainage for the acute cholecystitis: International multicenter comparative study by a propensity score-matched analysis. Updated comprehensive epidemiology, microbiology, and outcomes among patients with acute cholangitis. Circular stapling versus triangulating stapling for the cervical esophagogastric anastomosis after esophagectomy in patients with thoracic esophageal cancer: A prospective, randomized, controlled trial. Descriptive review of acute cholecystitis: Japan-Taiwan collaborative epidemiological study. Safety-related outcomes of the Japanese Society of Hepato-Biliary-Pancreatic Surgery board certification system for expert surgeons. Multicenter, randomized, open-label Phase II study comparing S-1 alternate-day oral therapy with the standard daily regimen as a first-line treatment in patients with unresectable advanced pancreatic cancer. Laparoscopic Gastrojejunostomy for Patients with Unresectable Gastric Cancer with Gastric Outlet Obstruction. Phase I Study of Nab-Paclitaxel plus Gemcitabine as Neoadjuvant Therapy for Borderline Resectable Pancreatic Cancer. Factors Associated With Invasive Intraductal Papillary Mucinous Carcinoma of the Pancreas. Whole genome sequencing discriminate hepatocellular carcinoma with intrahepatic metastasis from multicentric tumors. Partial clamping of the infrahepatic inferior vena cava for blood loss reduction during anatomic liver resection: A prospective, randomized, controlled trial. Perineural Invasion Is Associated with Poor Survival after Preoperative Chemoradiation Therapy for Advanced Lower Rectal Cancer. Value of apparent diffusion coefficient prior to neoadjuvant therapy is a predictor of histologic response in patients with borderline resectable pancreatic carcinoma. Phase II clinical trial using novel peptide cocktail vaccine as a postoperative adjuvant treatment for surgically resected pancreatic cancer patients. Expression of BRCA1, a factor closely associated with relapse-free survival, in patients who underwent neoadjuvant chemotherapy with docetaxel, cisplatin, and fluorouracil for squamous cell carcinoma of the esophagus.